Happy Monday. It's happy because it FINALLY feels like fall is here! Okay moms, moms to be, or aunts, grandmothers, etc... I need some advice. Over the next couple of weeks we will be registering for our baby items, and I have a question about how your newborn slept when he or she came home from the hospital. We already have our pack n play... and figure that would work best to keep her in our room for a few months. But I'm also hearing that it might not be the best thing for her to sleep in. This is the pack n play that we have... 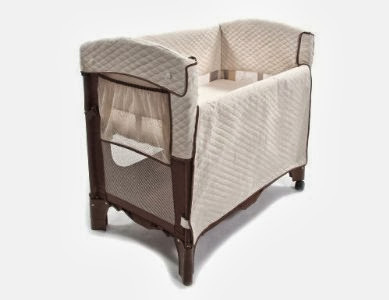 It got great reviews, and I love that it has a bassinet to use, too. So, I've looked at these two other options and I'm wondering if you use/used them, and what your opinion is on them. Rock n Play Sleeper — this seems to be the new thing everyone is using and it's great to help with acid reflux which means less spit ups. And we heard that some babies do not like to sleep on their backs, and only sleeps when held and this makes them feel like they are being held? Arm's Reach Co Sleeper — this would fit right next to our bed so she would be right beside me and make it easier for me checking on her and calming her down in the night. We know the pack n play will be used a lot for traveling, and if we don't use it in our bedroom, we will let her take naps in it during the day in our living room. So I need to know what worked best for y'all. 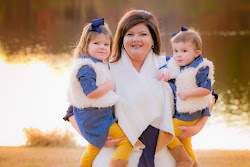 I know that each baby is different, and we will have to adjust according to what she likes, but I would love to have some advice on worked best for your little ones. With G, he had Chris's bassinet, but he slept in the bed with us the first month (I know, I know) and then we sent him to his crib. 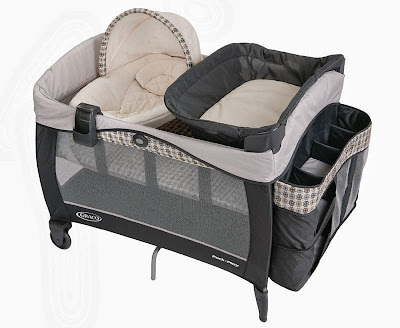 With HQ, we had a pack n play similar to the one your posted with the bassinet and slept in it for the first month or so and then she would bounce between in and her crib. I like to have never got her to sleep through the night. G was sleeping like a champ at a month old, HQ, not so much. I think she was five months old before we got a proper night's sleep, lol. If it were me, I would stick with the pack n play at first, then if she doesn't seem to be sleeping well in it try one of the other options. We use to co-sleeper. I also bought a boppy heirloom pillow ( It is not recommended for sleeping) But we put it inbetween us in the middle of the night and it elevated our little one and kept her safe and close to us. That first night we had Aubrey in our room in her pack-n-play, but that lasted about four hours. We moved her into her room, which is right across the hall, and she has slept in her bed ever since. 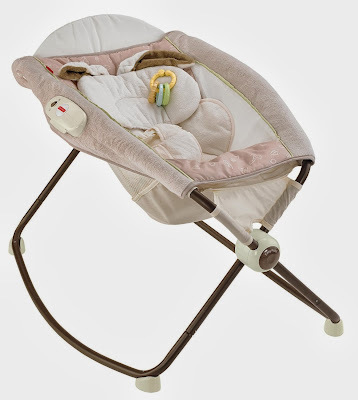 I know I've already raved about the Rock 'N' Play, but I will say that we LOOOVED the bassinet on the Pack 'N' Play, too. If you've already got that, it'll probably work perfect for nighttime sleeping. The Rock N Play was just so great to move around the house wherever we were (it's a zillion times more portable than the Pack 'N' Play), so she could snooze in different places, and we could be close. Man...sounds like we were bad parents. She never slept anywhere but her crib. We made the decision early on (before she was born) That she would NEVER sleep in our room. It made it difficult the first 6 weeks, but she never had to adjust to her crib, and she took great naps. And we have our bedroom! Trust your gut momma. You will know what will work best for your family! I know I am not a momma, but my best friend just had a little boy. She has the little bouncy thingy you posted, her pack and play looks like yours, but she swears by this invention!! She said it was a lifesaver those first few weeks! We used a bassinet in our room for about three months, and then slowly transitioned to her crib. She slept in her swing a good bit, though, the first 4-5 months. We used a pack n play and a rock n play, and I don't have a preference for one over the other. Our first daughter slept in a pack n play with the bassinet and changer. It was nice to have a place to keep her things in the room, and a place to change her diaper. It was more difficult to keep her in arms reach/ rock her just a little in the middle of the night. With our second daughter, I bought the RNP because I heard such rage reviews. I bought it from amazon and it was delivered and I decided to return it. I felt like I didn't need to spend the money and even printed the return address label. My second daughter was born before I got a chance to return it. She ended up having terrible reflux and I decided to keep it because of the incline. It was nice to have a way to pull her right up to the bed and just rock her with my hand, but there was no storage. We transitioned both girls around 5 months and had no problems with transitions at all. H napped in her crib from about 3 months on and we put E's crib together the day of the transition. I don't feel like you could go wrong either way. I used our pack and play and it was right up next to my bed, like the co-sleeper, except that it was a pack n play. Our pack and play had a bassinet attachment, but it made me nervous because I felt it was too puffy (I am such a worry-wart! ), so I just raised the bottom of the pack and play floor like yours is displayed there, and he slept on that. I did buy the velcro swaddle bags because I didn't feel I was a great swaddler and I worried about the blankets being loose, and those were wonderful while we swaddled. Nicky slept in his pack n play right next to my bed for his first five months (from July until Christmas), and then we put him in his crib. To aid in the transition, I started putting him in his crib to nap a month or so before we had him in there at night. We had no issues transitioning whatsoever. I'm telling you, he has been such an easy baby. I use the breathable crib stuff- mattress and bumper. Nicky did not have any troubles sleeping, but I've heard the Rock n play is a lifesaver for babies who like to be on an incline or who have acid. We used a 60 year old bassinet! Ha! She slept better in it than in the pack n play. But my mom's pack n play has the sleeper attachment like yours and she slept well in it. I think she just liked the close quarters of the bassinet? I've heard great things about the rocker sleeper, but we never used it. The co-sleeper looks great because it is a little smaller than the pack n play. Really, you can't go wrong. She will sleep in whatever she gets used to. :) For what my two cents is worth. And I'm telling you...that zCush nap mat was the absolute BEST thing ever! And made the transition to crib (SIX MONTHS LATER! Ha!) so much easier! Daggum! That comment was obviously from me! Oops! I will say that there were many nights I reached over and rocked the bassinet to get her back to sleep, and I could do that without opening my eyes. Ha! So that's something else to think about. I had both of these items even though it has been a while! I LOVED both. Even with Logan back in 2000, we loved his Pack & Play. Great for travel, too! Our daughter slept in a bassinet in our room for the first three months. Then, we transitioned her to a crib. We used our pack-n-play for travel. Do whatever works for you, but be aware that the American Academy of Pediatrics cautions against allowing babies, particular babies younger than 4 months, to sleep for an extended period of time in swings, car seats, etc. for routine sleep in the hospital or at home. Infants who are younger than 4 months are particularly at risk, because they might assume positions that can create risk of suffocation or airway obstruction."